- Attend the ceremony rehearsal. 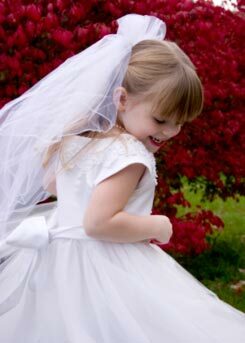 - Families of flower girls are expected to pay for dresses and accessories. - They walk directly in front of the bride into the church. - They also walk in front of the Maid of Honor when leaving the ceremony. - As they walk down the aisle, they may scatter flowers or rose-petals. - They may carry a small bouquet, a ring of flowers, a pomander bouquet or kissing ball. 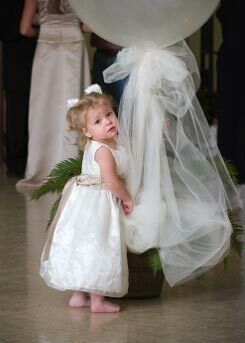 - The flower girls may stand near the bridesmaids or sit with their families. - The flower girls usually sit with their families not at the bridal table.